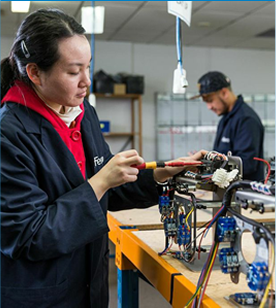 In a global market, with global customers and suppliers, Fero is conforming to the requirements of a number of governing bodies and customer requirements. 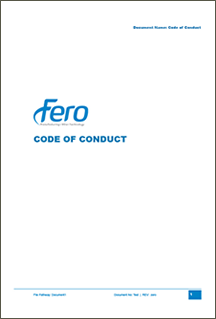 Fero is also committed to ensuring that we are a company of high integrity and a good corporate citizen. This commitment starts with hiring the best people, which in turn attracts loyal customers and business partners. Our Code of Conduct outlines the main principals underlying our business activities and of those that we deal with. At Fero, we send a very clear message to all our staff and stake holders that we are striving to always operate with the highest levels of integrity and respect to ensure a positive, productive and sustainable business. 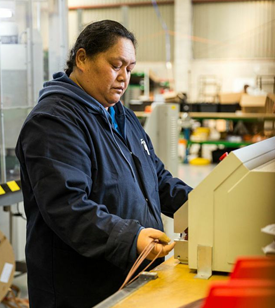 We are manufacturing in New Zealand under UL standards and certify all product that is required to be of this standard. Our offshore suppliers are also UL approved and provide UL certified product. 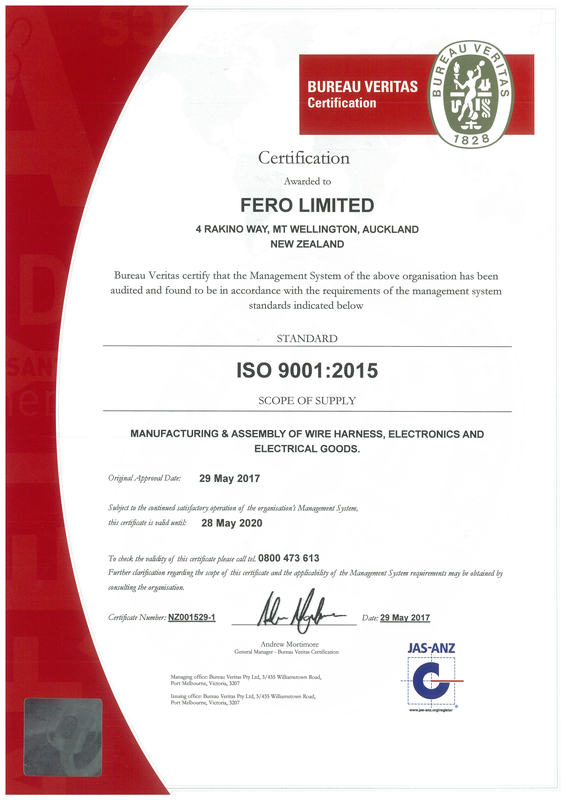 Fero has a well developed Quality Management System which is ISO9001-2015 registered. 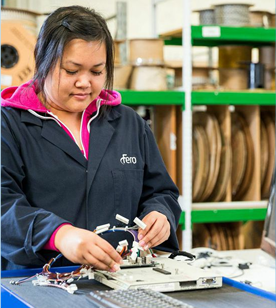 Fero Ltd provides a quality management system which is ISO9001-2015 accredited and capable of meeting or exceeding all of our customers’ requirements. 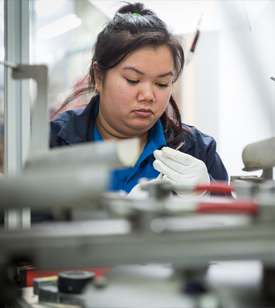 Quality products delivered on-time begins with up front engineering planning. Our team is instrumental in developing processes to meet our customer demands. Detailed “drawing & samples” with Initial Sample Reports are documented by experienced engineers to ensure exacting quality right thru production. To view our ISO 9001 certificate of compliance please click here. 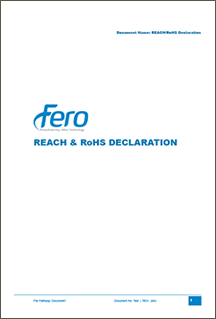 Fero is dedicated to implementing and maintaining compliance to the (RoHS) directive, while ensuring product quality, reliability, performance, and cost effective compliant products. Fero will always strive for continuous process improvement. Through regular process review, and adherence to a corrective action process, areas for improvement are identified and actioned. We are dedicated to working with customers and suppliers to ensure that we are taking all practical steps ensuring that minerals in our products are ethically sourced. 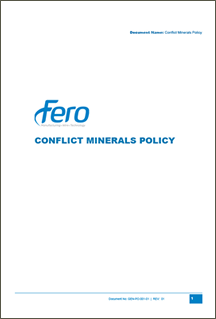 This policy has the support of the Directors of Fero.